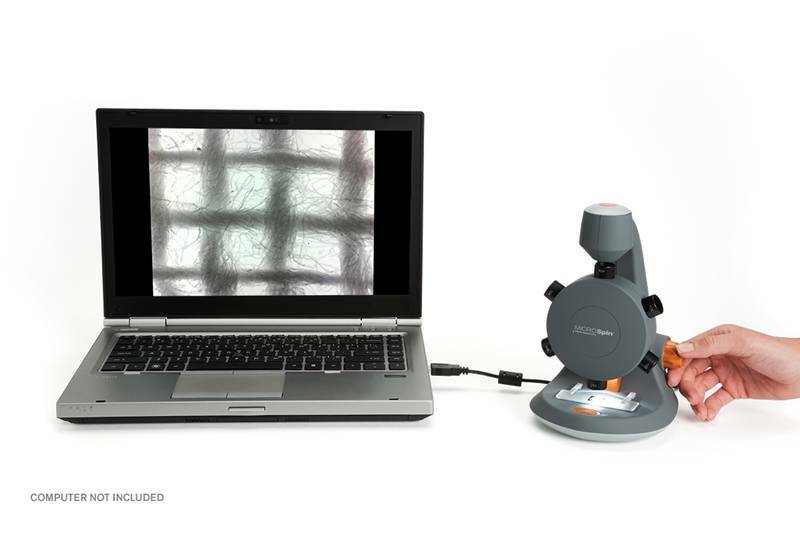 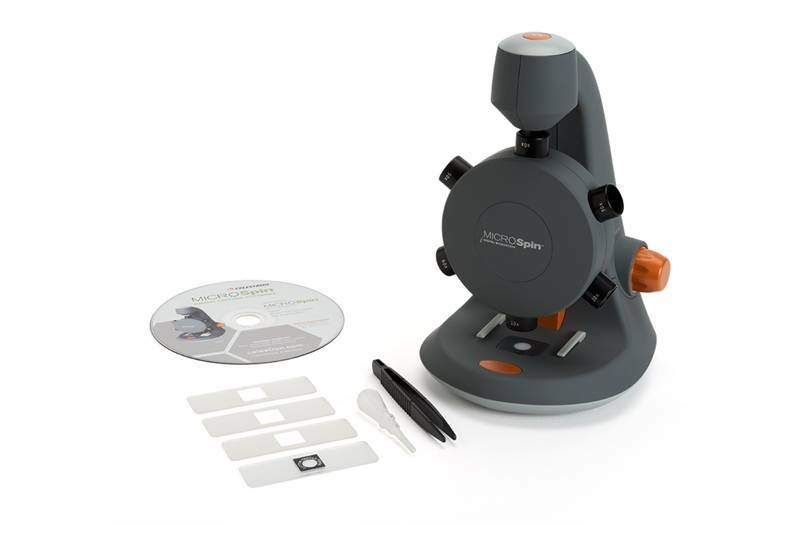 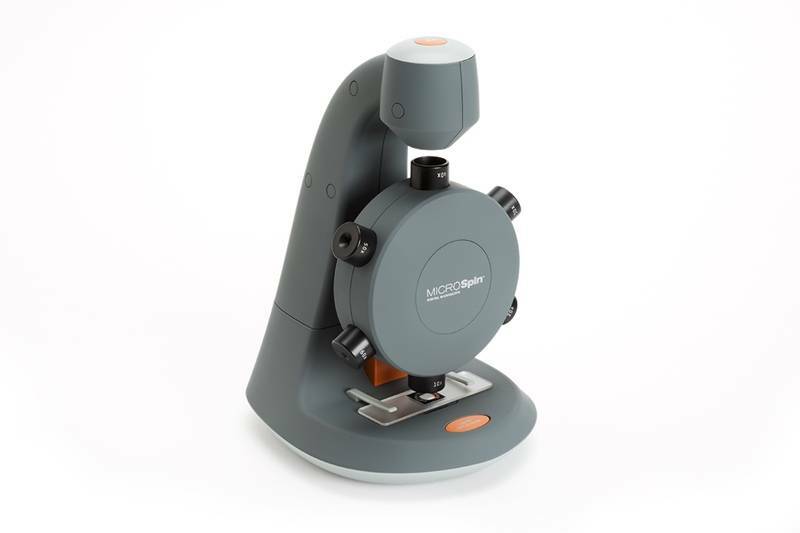 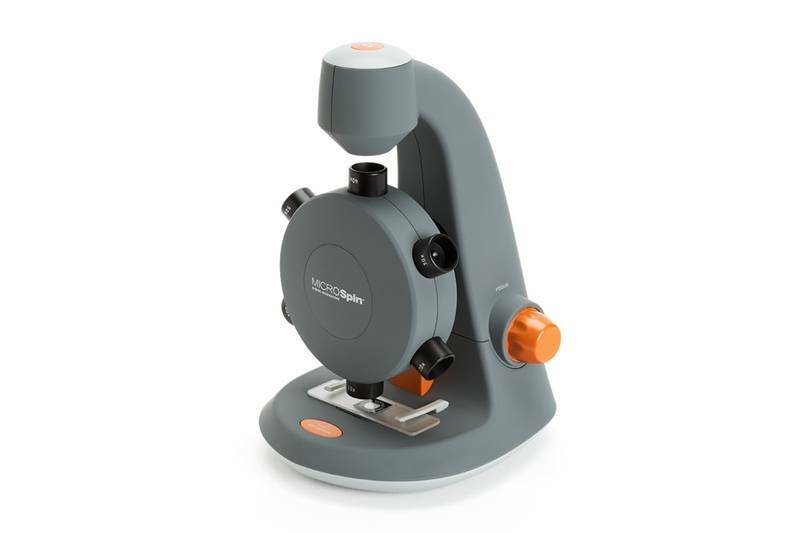 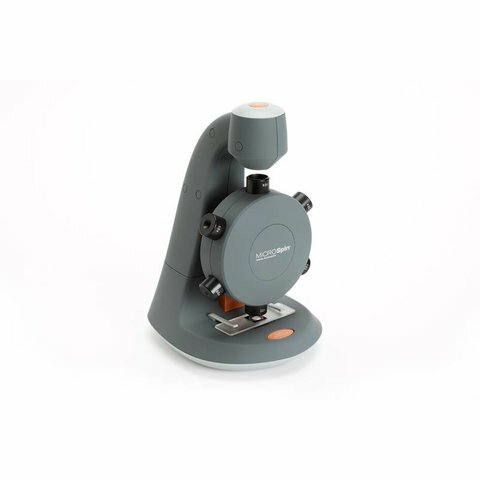 Celestron's intermediate-level MicroSpin is a 2 MP desktop digital microscope with a six objectives wheel. 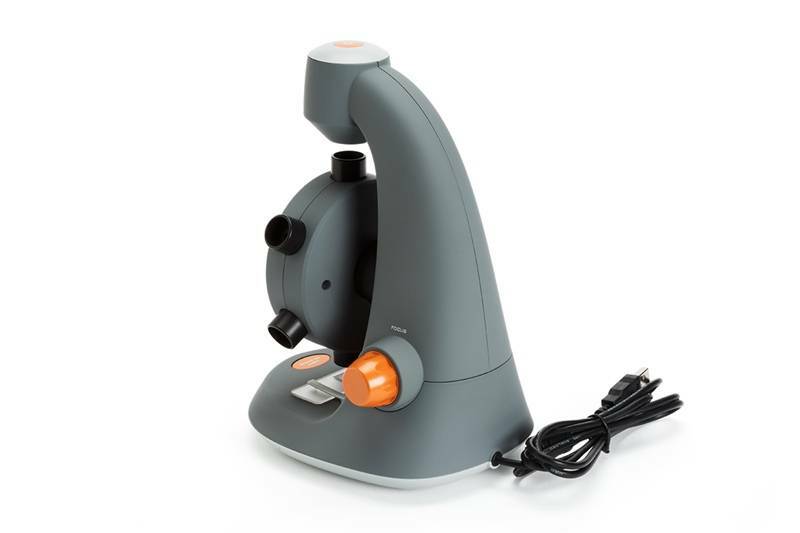 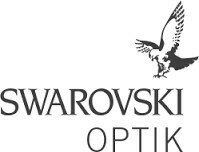 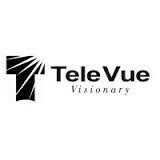 A 2 MP imaging sensor paired with upper and lower illumination for reflective and transparent illumination provides excellent resolution and illumination so you can capture high quality still images and video. 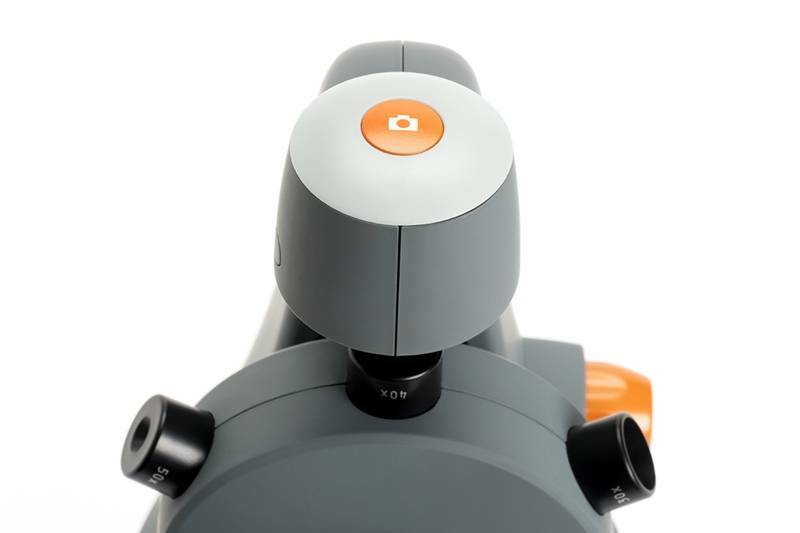 A simple, non-adjustable stage with plastic clips holds slides in place for an optimized viewing experience.